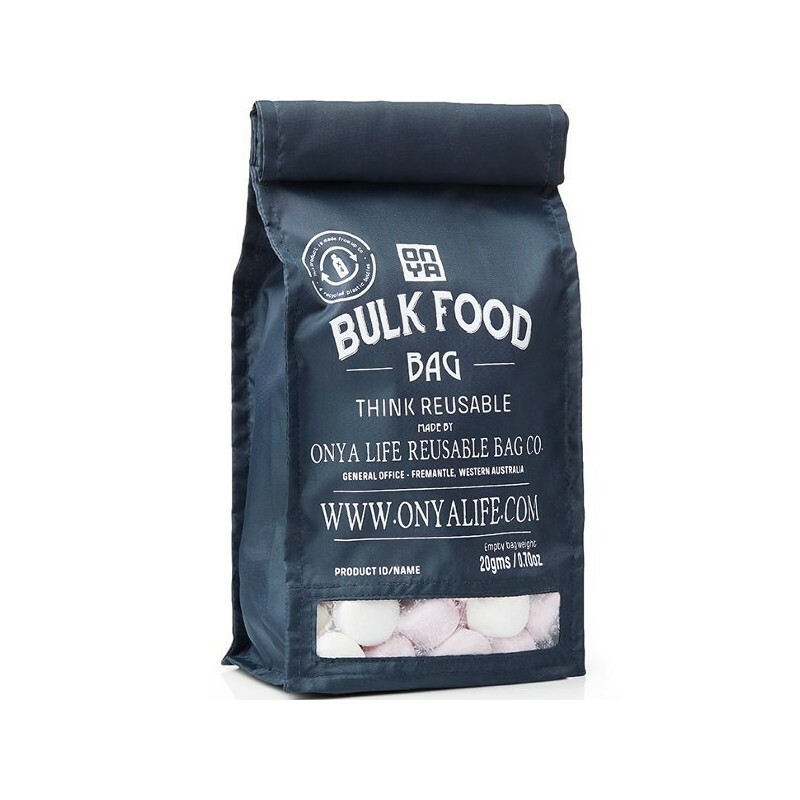 Lightweight and portable, this medium size bulk food bag is designed to easily transport your bulk food purchases home. 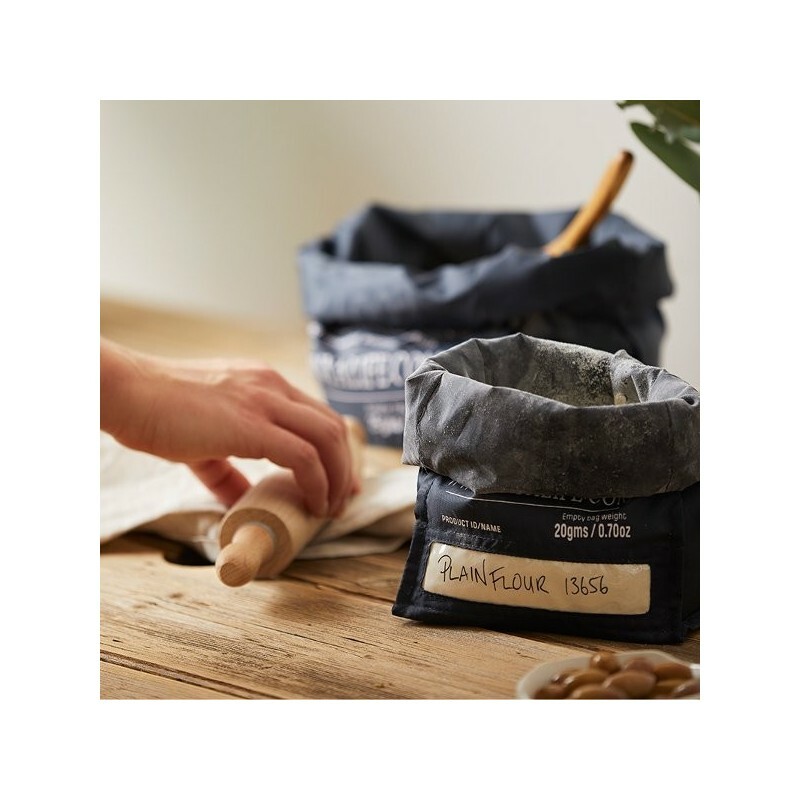 Fitted with a handy window for identifying foods and writing product names/codes while at the store, with the tare weight printed on the bag for easy weighing. One medium bag only. Charcoal colour. 35cm long x 15cm wide with 8.5cm gusset. I bought 2 of these for bulk buying flour/almond meal etc now that I've found a place near me that does bulk foods. The lady at the shop adored serving me with them, and I loved using them! 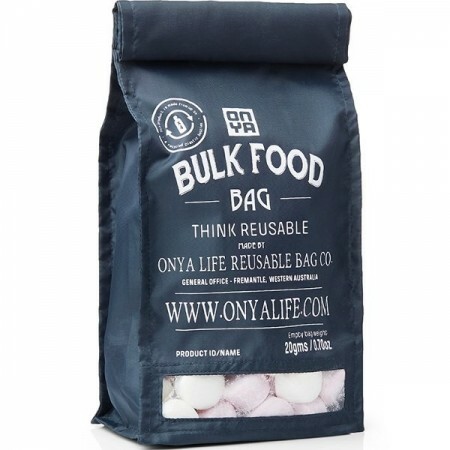 This bag comfortably holds 1kg of almond meal, probably up to about 1.5kg. They're so much more compact than I expected too. i love recycled reusable bags! great for bulk foods as you can see what you've put in but some shops like you to write the item number on a paper bag so its a bit hard then for the cashier to look up the number. But i think a better option that paper bags.